Published 2nd April 2015 by Icon Books. Over the next twelve years, she developed anorexia nervosa, was hospitalised, and finally swung the other way towards bulimia nervosa. She left school, rejoined school; went in and out of therapy; ebbed in and out of life. From the bleak reality of a body breaking down to the electric mental highs of starvation, hers has been a life held in thrall by food. Told with remarkable insight, dark humour and acute intelligence, The Time in Between is a profound, important window into the workings of an unquiet mind – a Wasted for the 21st century. My Review: Upon starting this book I was trying to think of two things. One; if I had actually read an autobiography before, and two; if I had read a book on a mental health issue like anorexia. I couldn’t think of anything, so The Time in Between was completely new territory to me. I was very nervous to start it though also incredibly interested to read an account of an issue that’s really prevalent today, yet never fully talked about. Nancy Tucker developed anorexia in her early teens and The Time in Between is her story, from late childhood to adulthood. It recounts all the terrifying moments where she was admitted to hospitals, and how anorexia and bulimia affected her so dangerously over her life, as well as family and friends impacts, and growing up in general. The Time in Between discusses some very sensitive topics, but talks about them fearlessly. There are chapters, many chapters, that hit the reader hard, but that raw emotion Tucker has conveyed makes The Time in Between all the more unforgettable. I can’t fault Nancy’s writing: It’s stunning, and I loved how parts of the book were written in different styles: from mock guides for how to care for sufferers, laced with dark humour; to movie-style transcripts of pivotal scenes in Nancy’s life. She writes so openly, not covering up any experiences, and that makes her book feel so honest. I wish more books about similar topics were written this way: In fiction and non-fiction. Overall, I cannot recommend The Time in Between enough; to those who want to read a powerful and moving autobiography; to those who need something to relate to; and everyone in-between. I haven’t read anything like it before, and I doubt I will ever find something similar: this book just stands out. It’s simultaneously a shining example of evocative writing, and a uniquely honest memoir about mental health, and above all, hope. It was just extraordinary! 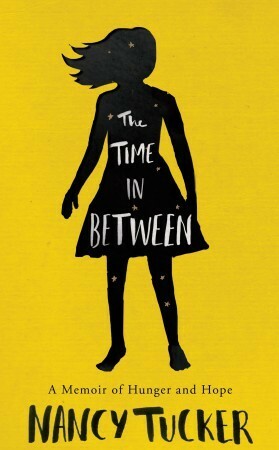 I received a copy of The Time in Between from the publisher, in exchange for a review. In no way at all did this affect my thoughts. This entry was posted in Uncategorized and tagged 2015 debut, 2015 release, anorexia nervosa, autobiography, bulimia nervosa, memoir, nancy tucker, non-fiction, the time in between on March 31, 2015 by keithbwalters. As a small child, there was nothing quite as exciting to me as watching Cinderella or Pocahontas or Aladdin, and as I grew up, my love of movies grew with me, expanding to include more than just the old Disney favourites. I fell in love with The Princess Bride, saw Pirates of the Caribbean five times in the cinema, and spent hours imagining myself as an elf living in Middle Earth. While I was studying for my undergraduate degree I got a part-time job in a movie rental shop, where I worked for four years. I got to encourage my passion for cinema and forge friendships with a bunch of awesome, like-minded movie junkies at the same time. Of course, books have always held a special place in my heart, but together, novels and films have inspired my creative side and set me on the path I’m on now. For me, writing is a very visual endeavor. I take my cues from images in every day life or ones that randomly pop into my head. From there, I build the scenes and the characters, and see where the story takes me. Vendetta was inspired by an image that popped into my head one night as I was falling asleep. There was a crumbling white mansion, and in front, five boys were standing side-by-side, doused in shadow. The story began from here, but as the characters took shape I suddenly discovered where they were leading me and what I wanted to do – I wanted to bring the Mafia to YA in a way that was fresh and exciting, while also providing a throwback to some of the greatest films of that genre. I hope I have managed to do just that! The finished result is a teenage romantic thriller reminiscent of The Godfather, Goodfellas and Baz Luhrmann’s Romeo and Juliet. The Godfather finds its place in the family structures and power-plays that drive the story of Vendetta. The theme of loyalty is a powerful one, while corruption and deception are equally rife, threatening the stability of Nic and Sophie’s world just as betrayal and dissension affected the powerful Corleone family in Coppola’s adaptation of Mario Puzo’s iconic works. There is a scene in Goodfellas where the protagonist, Henry, has to comfort his girlfriend after her neighbour harasses her. After dropping Karen home and attending to her with great tenderness, Henry tracks down her abusive neighbour and what follows is a take-down. This sequence expertly juxtaposes heart-thudding romance with violence, and brings about a sense of uneasiness in the viewer. There’s discomfort having to witness something so dark, and yet a sliver of appreciation for someone being so impassioned by the mistreatment of a loved one that their defence far outweighs the initial crime. The co-existence of dark and light is something I wanted to instill in Vendetta, where questions of morality compete against the ideas of love and devotion, and the lines between right and wrong are blurred. Baz Luhrmann’s adaptation of Shakespeare’s Romeo and Juliet is an intimate portrayal of all-consuming teenage love, and the obstacles that can threaten the purity of something experienced at such a young ago. Rival family politics play a similarly large role in Vendetta, and as an ode to the star-crossed lovers theme, the cover of the book is reminiscent of Luhrmann’s 1996 movie posters. Check out the rest of the blog tour stops! Vendetta by Catherine Doyle out now in paperback (£7.99, Chicken House). 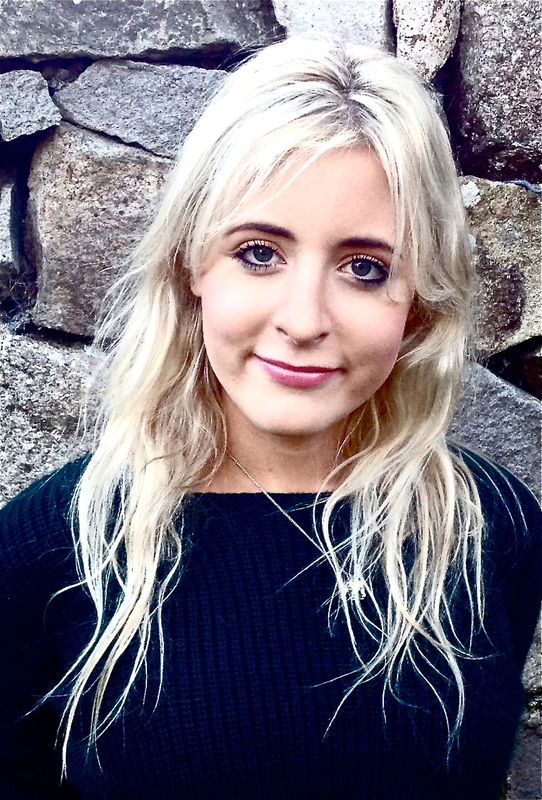 Find out more about the author at http://catherine-doyle.tumblr.com and http://www.catherinedoylebooks.com. This entry was posted in Uncategorized and tagged 2015 debut, Blog tour, catherine doyle, crime, fiction, films, movies, vendetta, vendetta blog tour on February 4, 2015 by keithbwalters. Published 1st January 2015 by David Fickling Books. 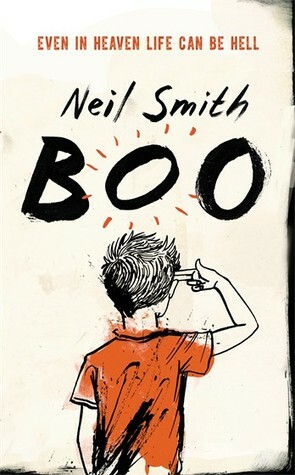 Goodreads Synopsis: Two boys. Two secrets. When Leo stands up for David in a fight, an unlikely friendship forms. But things are about to get messy. Because at Eden Park School secrets have a funny habit of not staying secret for long. My Review: It’s pretty hard to collect my thoughts about The Art of Being Normal! I knew, from the many tweets I had seen about it, that it was going to be a stunning novel, and it was. I was speechless after finishing – I had no idea it was going to be that amazing. I was so glad The Art of Being Normal it was receiving so much hype when I first heard about it last year, as not only is it a debut UKYA novel, but it’s also a story of growing up as a transgender teenager – a topic that is very rarely discussed in YA fiction. I think the only YA book I’ve read that centres around a character’s gender in a similar way is Pantomime by Laura Lam. I have never read a book that tackles such a rarely-discussed subject so fearlessly. Lisa Willamson’s story is brutally honest, and very real-feeling. I definitely had moments where I was tearing up a little. The writing was strong, beautiful and engaging; from the first words I was swept up in David’s and Leo’s stories. I really felt like I was there, alongside them, or experiencing their situations first-hand. The plot developed so well. I don’t think I’ve ever found an apt situation to use the phrase “the pages practically turned themselves” – but with The Art of Being Normal I can deifnitely use that. I never go through a book of this length in a day, but I literally couldn’t put it down. I was reading to and from school; during class; all through the evening. So many aspects just captured me: From the interesting social divide between characters, to the familiar UK school setting, to the very unexpected twists.Williamson has an unbelievable talent for storytelling and I’m very eager to see what she writes next. Overall, The Art of Being Normal is most definitely one of the most powerful début novels I’ve ever come across. It was riveting, eye-opening, and had some perfectly crafted characters. I can tell we’ll be hearing a lot more from Lisa Williamson in the future; her writing voice is incredible. I’m so glad a story like this has gotten so much attention because stories like this need to be read by everyone. 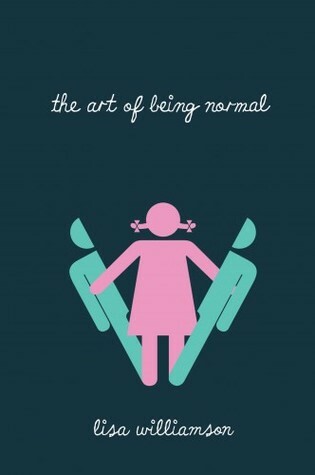 I received a copy of The Art of Being Normal from the publisher, in exchange for a review. In no way at all did this affect my thoughts. This entry was posted in Uncategorized and tagged 2015 debut, david fickling books, debut, lgbt, lgbtqia fiction, lisa williamson, the art of being normal, transgender on January 22, 2015 by keithbwalters.